Hello everyone and welcome to week #2 of Lucha Headlines. I am Nathan and we had an action packed hour of wrestling last night. So, without any further ado lets get down to the action shall we? The show begins inside of Dario Cueto’s office as Dario is talking to Chavo. Dario compliments him for putting an end to Blue Demon Jr. Cueto then proceeds to reward Chavo for capturing Black Lotus and gives him a shot at the Lucha Underground championship and it’s champion Prince Puma for later on in the main event of the evening. Chavo then says he wants the match to be a no DQ match to which Cueto agrees and we have our main event for the night. From there we go to the ring for the first match of the night. I’m having issues with the naming of Delvar Diavari because it’s too hard to say in my opinion. But, whatever. I suppose it works, just not for me. This match was pretty good. But, at times I had a hard time cheering for anyone because they are both guys I’m not supposed to like. Other than that issue, this match was perfectly acceptable and Texano managed to defeat Delvar Diavari with a sit out powerbomb to score the win. Result: Texano defeats Delvar Diavari via pinfall after a sit out powerbomb. From there, we head to the locker rooms inside of the temple as Prince Puma is shown training. Enter Konnan who makes his way into the frame and gives Prince Puma some words of wisdom headed into his match with Chavo Guerrero. Konnan tells Puma that he’s very familiar with Chavo’s ways and that he will lie cheat and steal to get what he wants. Cue flashy lights and the appearance of Catrina who tells Puma to be afraid because Mil Muertes is on the horizon and Mil will take his title come Ultima Lucha. Muertes makes an appearance and stares down the champion before vanishing into thin air with Catrina. From there we see Konnan talking to someone in the locker room and talks about Dario Cueto’s abusive authoritative ways and that he is not going to be held down any longer. This was a pretty good match. I always enjoy seeing Drago and Hernandez is a big man who can actually move with agility which is nice for a change because on a show like this you sort of need it. The end of the match came when Hernandez stole a belt from a fan in attendance and used it to choke out Drago to get disqualified and allow Drago to win the match. Result: Drago defeats Hernandez via disqualification after Hernandez chokes Drago out with a belt. After that, Hernandez grabs a microphone and shatters little kids dreams by informing them that Dragon’s aren’t real. Backstage, once again and Chavo is getting ready for his main event title match, the lights dim per the usual when Catrina appears (seriously, I think this building may have faulty wiring) and tells Chavo that Mil Muertes will be the Lucha Underground champion after Ultima Lucha. This brings on the appearance of Mil Muertes who roars on with approval. This was barely a match really, the highlight was before the match when the Moth was creepily stalking Melissa Santos while she was doing his intro. The bell rang and the beginning of the match was pretty much the end of it as well. El Patron locked on the cross arm breaker to score the submission victory. Result: Alberto El Patron defeats Marty “The Moth” Martinez via submission with a cross arm breaker. After the match, Alberto gets on the mic and says that Mundo’s decisions will eventually catch up to him and that putting him through the window a few weeks ago will be a major mistake. He swears revenge on Mundo and then says that their first match in Lucha Underground will be Mundo’s last. Before the main event we find out that if Konnan interferes in this next match, then Prince Puma will lose the title and that Chavo Guerrero will become the new champion. This match was your standard defense of the LU Championship by its champion Prince Puma. Puma ended up winning the match after a 630 splash thanks to interference from Texano, of all people. So someone did in fact interfere. But, it wasn’t Konnan so I guess it’s okay right? Result: Prince Puma defeats Chavo Guerrero via 630 splash to retain the Lucha Underground Championship. After the match, Texano grabbed the microphone and stated that Mexico is here and that “They” are coming for Chavo Guerrero...which doesn’t make sense to me but whatever. I’ll forgive it. 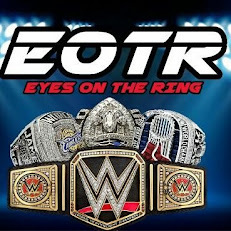 This brings an end to week #2 of Lucha Headlines for EyesOnTheRing.com. I hope you enjoyed this weeks review as much if not more than you enjoyed last weeks. Thank you for reading and I will see you right back here with another installment of Lucha Headlines as presented by me Nathan Neumann. Until next week be sure to follow me on Twitter @Headliner5 and let's talk some Lucha!